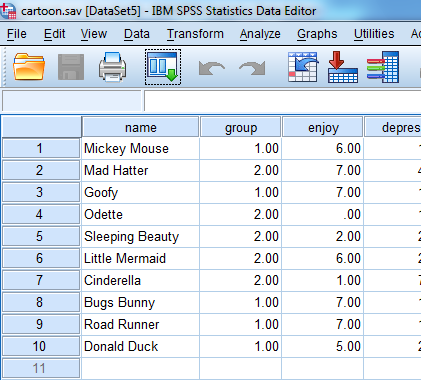 Click on the spss icon. Click on file. 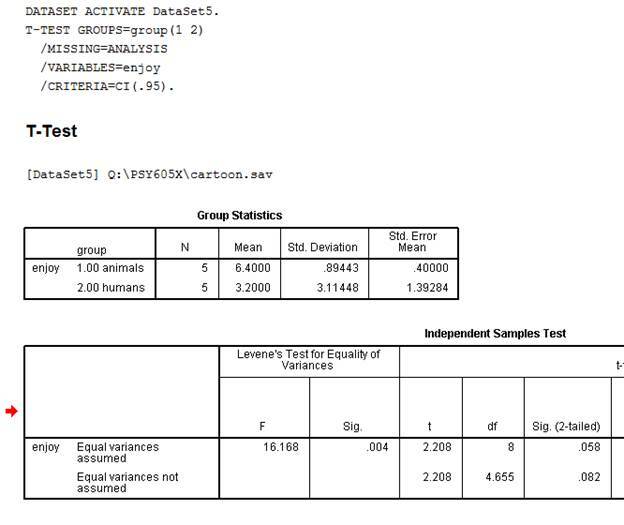 Then click on data. 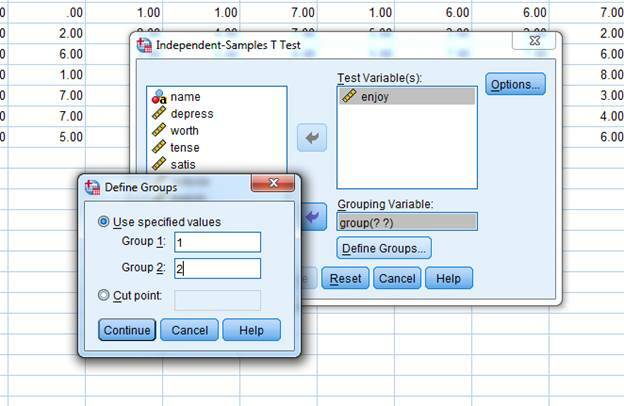 Click on Analyze > Compare Means > Independent-Samples T-test. 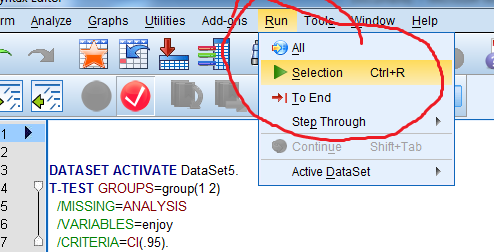 Select enjoy from the variable list. Put Group in the Grouping window. 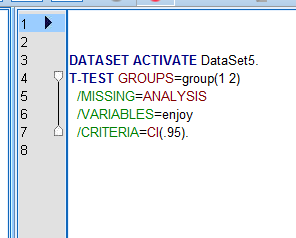 Click on Define Groups. Put 1 in one window and 2 in the other. 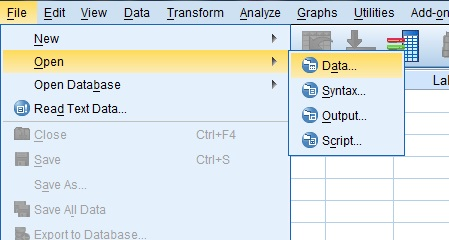 Select all of the lines in the Syntax window then click selection.